We're celebrating Day 4 of our 12 Days of Christmas Cookies with classic sugar cookies decorated in the most unexpected way. 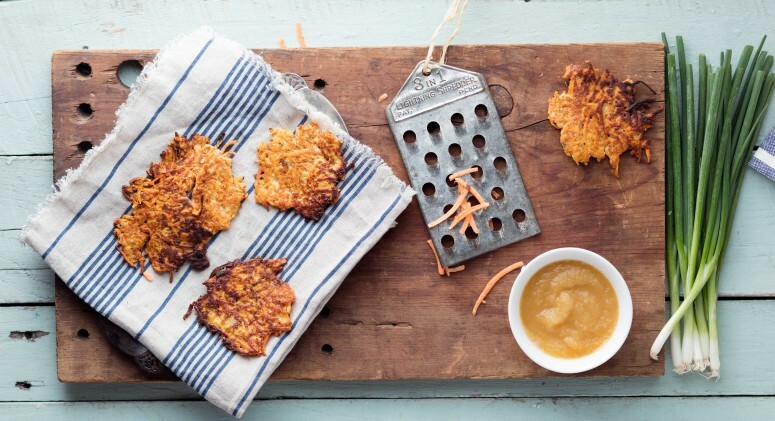 These woodland-inspired treats are sure to make a splash at any holiday cookie swap. Place the butter and sugar in the bowl of a stand mixer fitted with the paddle attachment and beat for 6 to 8 minutes to cream the butter and the sugar. It should be pale in color and creamy. Add in the egg, vanilla, and almond extracts. Beat for 2 to 3 minutes to combine. Add in flour and beat until just incorporated and the mixture comes together to form a dough. Roll the dough out between two sheets of parchment paper to a 1/4-inch thickness. Refrigerate for 30 minutes to 1 hour until firm. Preheat oven to 325 degrees and line 2 baking trays with parchment paper. 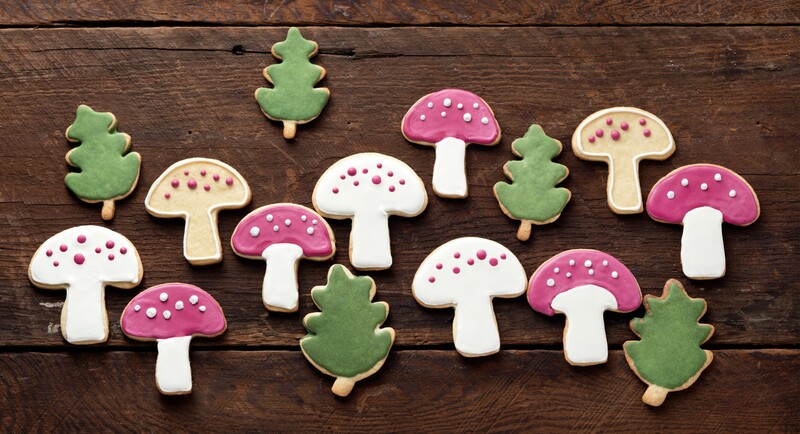 Remove dough from oven and cut cookies out using mushroom, leaf, or tree cookie cutters. Place on baking trays and bake in oven 7 to 9 minutes until edges start to become golden. Allow to cool. For the icing, place the powdered sugar, egg whites, and cream of tartar in the bowl of the stand mixer and whip on high for 5 minutes until frosting has gone from gray to pure white in color, becomes fluffy, and stiffens. Divide into separate bowls and color with dye as needed. Use the thick icing to pipe around the edges of cookies in a piping bag fitted with a fine-tip nozzle. Stir water into colored icings, a tablespoon at a time, to create a slightly thinner consistency to fill in the color on each cookie. Let icing dry completely between layers, and let cookies dry and set completely before stacking on top of each other or serving.